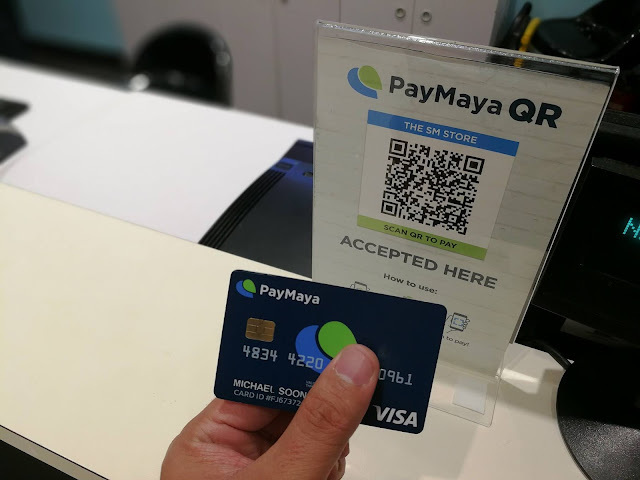 Complete your holiday shopping with PayMaya QR - Hello! Welcome to my blog! All new and existing PayMaya account holders may avail of the 50% rebate on all PayMaya QR transactions from December 12 to 24, which will give them more ways to #ShareTheLove by helping complete their holiday gifts to friends and loved ones. They may avail of the promo at all establishments accepting PayMaya QR payments and displaying the rebate promo sign, with a maximum rebate of P500 per account holder per day. These establishments include all The SM Store branches and SM mall information booths nationwide; Robinsons Department Store, Robinsons Department Store, Robinsons Supermarket, and stores under Robinsons Store Specialists Inc., such as Topman, Topshop, G2000, Warehouse, and Dorothy Perkins in Robinsons Galleria. They may also get the rebate when they buy items at Ministop branches in Cyberscape Alpha and Cyberscape Beta in Ortigas; Fairmont Hotel in Makati; and The Yard food park in Timog, Quezon City, among many others.